Employees of The Royal Mandaya Hotel are immortalizing a different line–business is personal. 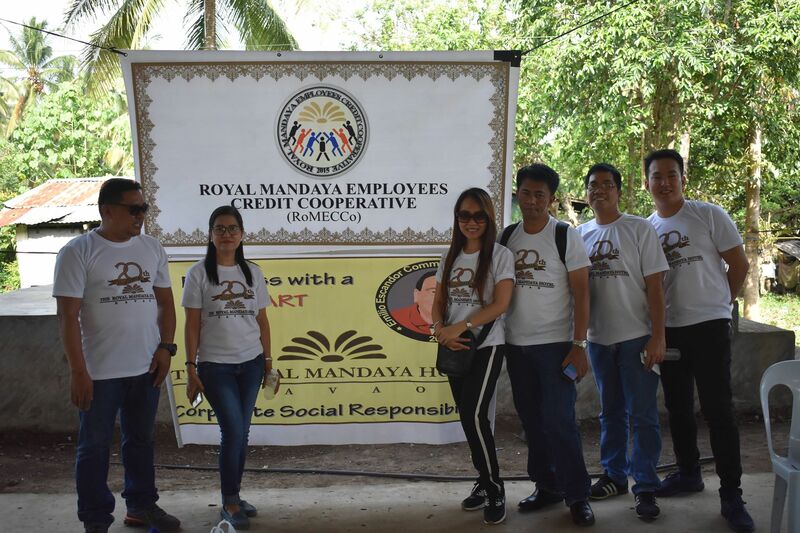 With that mindset, employees of The Royal Mandaya Hotel take their motto “Business With A Heart” very personal as they took another leap over the weekend to one of Davao’s less fortunate communities for its outreach program. 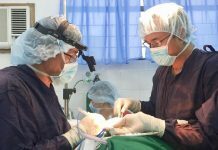 The TRMH Emilio Escandor Community Outreach Program (TRMH-EECOP) 2018 visited Purok 1- Biao Joaquin in Calinan, Davao City on September 15 for a day of medical mission and gift giving. Purok 1- Biao Joaquin has a total population of 2,500 consisting of 600 households, majority of which are Klata-Guiangan Tribes and Native Visayans. 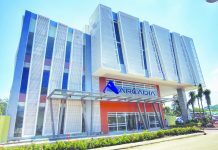 “It’s always heartwarming togo out of the confines of work and lend your time and blessings to the communities,” said TRMH general manager Benjamen Banzon. Lending assistance to the outreach program are medical team volunteers Dr. Zenaida Talattado (Occupation Medicine), Dr. Jose Naval (Occupation Medicine), Dr. Henry Derla (Occupation Medicine), Dr. Orfa Abelende-Ingay (Occupation Medicine), Dr. Eduardo Junior Suello (Optometry), Dr. Janalyn Campos (Occupation Medicine), and Dr. Aisha Biston (Dental Surgeon). A total of 172 patients were given free medical examinations. Of the number, 35 were given free eye examination and orientation and 34 underwent tooth extraction. The TRMH-EECOP team gave away clothes, shoes and slippers while 38 males were given free haircut. Elderly residents and children along with their parents were also provided nutritious foods and drinks. Barangay officials led by Barangay Captain Gracie P. Cañedo expressed their gratitude to the team. Residents of Biao Joaquin are mostly farmer beneficiaries of the Pantawid Pamilya Program – a human development program of the National Government that invests in the health and education of poor households, particularly of children aged 0-18 years old.